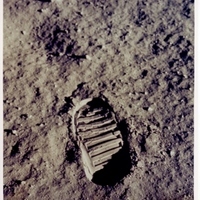 Apollo 11 was the first space mission where humans set foot on another celestial body, the Moon. 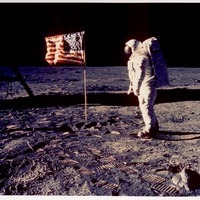 Launched from Launch Pad 39A at John F. Kennedy Space Center (KSC) in Merritt Island, Florida, on July 16, 1969, the Apollo 11 fired the third stage engines two and half hours after launch to leave Earth's gravitational pull. 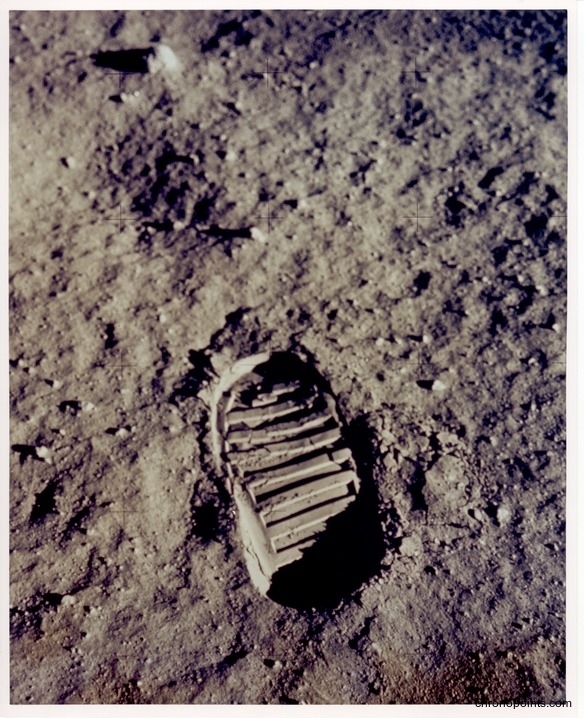 The mission was highlighted by the first lunar landing by human beings and Mission Commander Neil Armstrong's (1930-2012) descent from the Lunar Module (LM) to place his foot on the surface of the Moon. 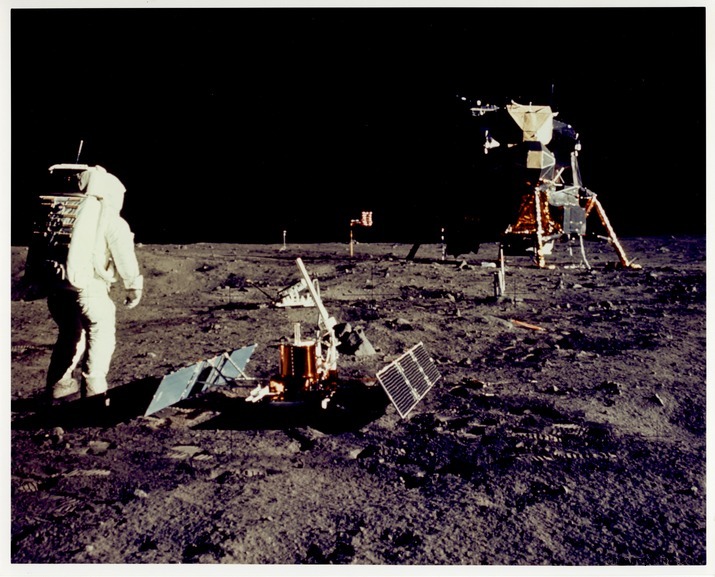 He and Lunar Module Pilot Buzz Aldrin (1930-) spent less than 22 hours on the Moon, including two and half hours outside Eagle, their Lunar Module. 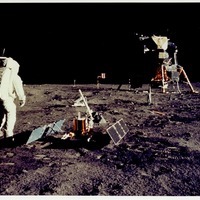 The crew, which also included Command Module Pilot Michael Collins (1930-), returned to Earth on July 24, 1969. 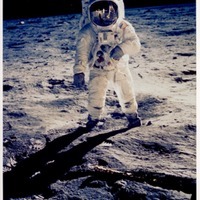 Original color photographic prints, July 20, 1969: Leonard Pugh Collection. 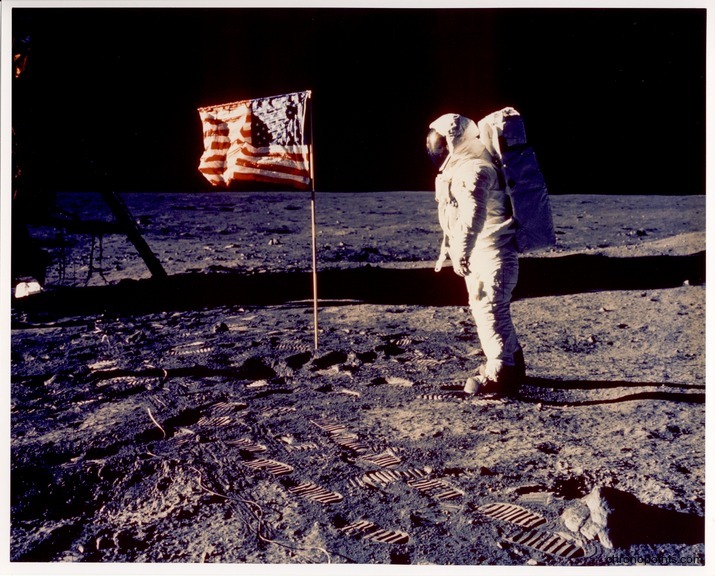 Digital reproduction of original color photographic prints, July 20, 1969. 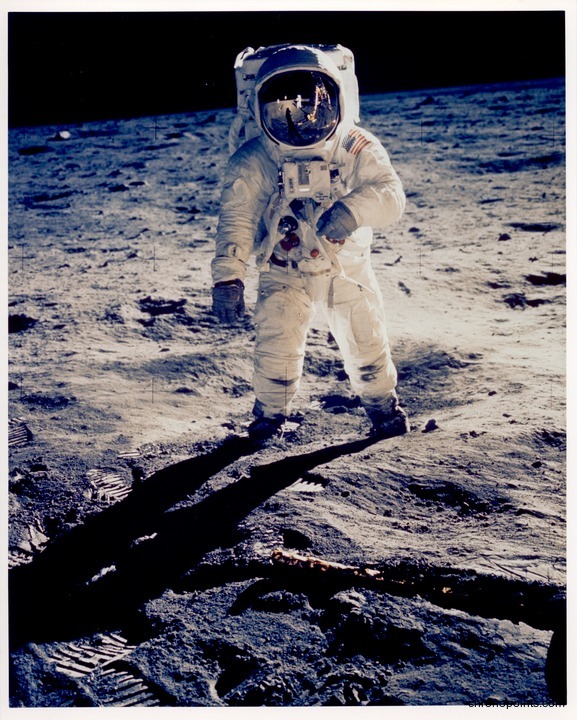 “Apollo 11 on the Moon.” RICHES of Central Florida accessed April 22, 2019, https://richesmi.cah.ucf.edu/omeka/items/show/6059.